Tablet computers. Can’t live with them. Can’t live without them. In today’s technological world, tablet computers have replaced the bulky laptop and desktop computer. In this article, we will discuss two of 2016’s best tablets along with their screen sizes. There is no doubt in the world that tablet computers are pretty great. They can be taken pretty much anywhere and they take up very little room in the workspace. Tablet computers come in different screen sizes to aid the working man’s needs. The size of the tablet that you choose to use will depend on what you want to use it for and/or who wants to use it for what purpose. Tablet sizes range from being small to being rather large. A couple of examples would be the Microsoft Surface Pro 3 and the Samsung Galaxy Tab 4. Both of these devices have been dominating the sales and have been considered two of the best tablets of 2016. The Microsoft Surface Pro 3 has a 12” screen and has 128GB of space and has an Intel i5 processor while’s rival the Samsung Galaxy Tab 4 has a 10.1” screen that has 16GB worth of space and has a Quad-core processor. As it was being mentioned before, the tablet computer comes in a range of sizes. The scale of tablets ranging from 7” to 12”. Now, you might be wondering what is so special about the Microsoft Surface Pro 3 and the Samsung Galaxy Tab 4. Referred to as one of the best tablets on the market, the Microsoft Surface Pro 3 replaces the bulky laptop. At £869.99 with £50.00 as a discount off the £919.99 retail price, the Microsoft Surface Pro 3 is ideal for anyone that is tired of having to carry around their laptop as well as their tablet. When it comes to buying your first tablet you need to have some kind of Tablet buying guide there has all the essential information to help you decide on which device is best for you. There are many ways of how to choose the right tablet for you but there is a better way of doing it. Choose what your heart tells you to choose. Here is a small Tablet Buying Guide for you in order to consider when buying your first tablet. 1. Be sure to look into the different brands of tablets and what size screens they have. This will help you decide on what kind of tablet you would like to purchase. 2. When you decide what type of tablet you would like to purchase, look into what operating system the tablet will operate on. This will help you bring finality to your decision in your selection. 3. It is also crucial that you look into the app store that your potential tablet will operate with when downloading apps to or from your tablet using the app store of any associated program that is linked to the device. 5. Compare prices of the tablet that you have chosen with the prices of the same tablet at different stores so that you can get the cheapest deal. Have you chosen the tablet of your dreams? There is only one thing left to do. You need to choose where to buy the best tablet. We would recommend our website, BargainShopUK as we have the best prices in all of the United Kingdom! Simply add a tablet to your shopping cart, add in your payment information and then check out and wait for the tablet to arrive in the mail. 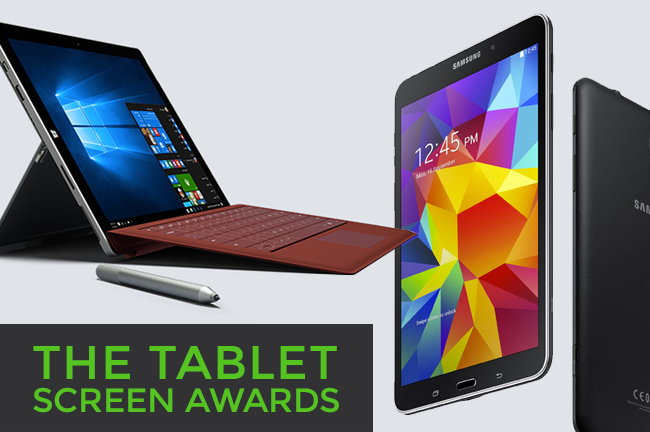 As we here at BargainShopUK have so much love for our technology and anything associated with it, we are proud to say that we are very happy with the choices we have made in choosing two of this year’s best tablet designs for all the world to see. If you have used the devices mentioned in this article we would love to hear what you think of these devices or if you want to voice your opinion about your favourite device, be sure to comment.